Re-establishment of Rights proceedings at the European Patent Office is a remedy of last resort to rectify a missed deadline. Failure to successfully re-establish a patent right represents not only a loss of the patent right but often an opportunity for financial gain. Therefore, every patent practitioner needs to know how to most effectively naviagte this remedy. 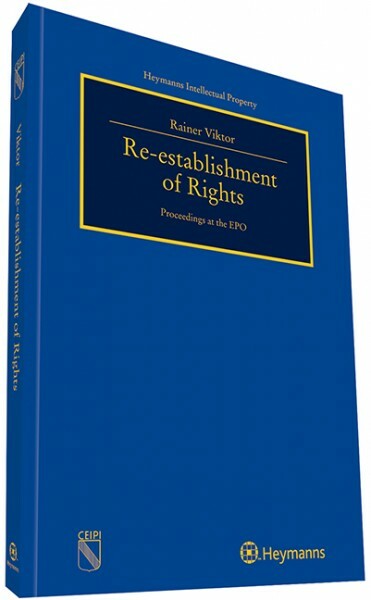 For the first time, one book conveys a complete overview of more than 400 decisions of the Boards of Appeal of the EPO, including developments over the years as well as recent trends. It is a »go-to« manual for the patent practioner, where the most relevant case law for this remedy can easily be found. On top of that, it also provides critical guidance for organizing a patent law firm or patent department to both minimize the risk of missing a term and maximize the probability that a request for restoration will be successful. The »true intention« of the client · Reminders – when and how many? Renewal fees – what to do, if not in charge of? Erinnerungen an Fristen – wann und wie oft? Jahresgebühren – was tun, wenn nicht zuständig?